Every man should own one of these handcrafted beauties! Dating back to 1878, Bloc Hyalin has been produced in the same natural way for over 100 years. This natural alum block comes with a 'rolled' edge which means you can use it not only as an after-shave astringent but also as a powerful deodorant. Natural Alum acts as a natural anti-septic that helps the face to recover more quickly after shaving, but it also doubles-up as a powerful bacteria fighting, odour neautralising under arm deodorant. Used daliy, this naturally derived alum block will keep your under arms smelling fresh and your post-shave-face in perfect order. Bloc Hyalin is handmade in France following the same technique that was used over a century ago. This completely natural, high-grade alum stone has been rolled out of completely natural alum stone which is admired for its anti-bacterial, moisturising and astringent properties. Bloc Hyalin can be used after shaving to free the skin of irritation and prevent ingrown hairs and razor rash. It can also be used a powerful underarm deodorant as it creates a natural barrier that bacteria can't get through meaning the skin can breathe and odours are neautralised. Used daily, this block should last at least 6 months. After shaving, run the alum block under cold water and gently massage onto the face. Avoid contact with eyes. As a deodorant: after showering, run the block under cold water and rub under the arms generously. Bloc Hyalin is the perfect travel companion. 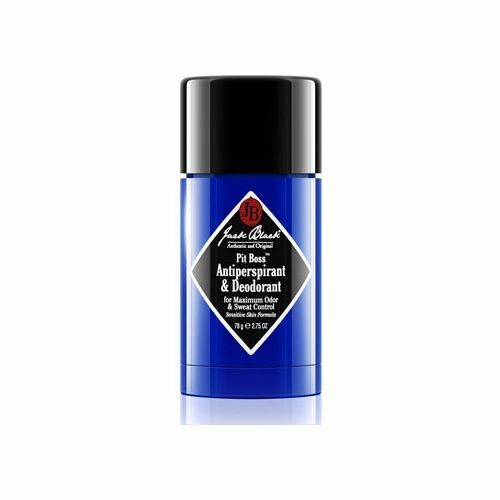 This 2-in-1 wonder block acts as an after-shave astringent and a natural deodorant.